* Malfeasance In Public Office At Glasgow City Council: The Case For A Public Inquiry. a dossier of available evidence compiled by the 100 Promises Community Campaign. George Redmond – Profile of a councillor. Information we have gathered from an academics private investigations shows Councillor George Redmond owns 33 houses. The vast majority of landlords within Glasgow according to the Council’s own figures on the private rented sector own a handful of properties. Of the 36,000 or so private rented properties there are only a handful of landlords with several dozens of properties available for rent. We are unaware of whether Councillor Redmond rents out the majority of his own homes, but we know that most were acquired through right to buy arrangements and then sold to him. His private residence has been valued at £430,000. Councillor George Redmond is a wealthy man. His career began in politics, and all of his private commercial appointments were preceded by his election as a Councillor. Most of his commercial appointments concern his long term interest in regeneration, land and the housing market, and there is a strong cross over between his leadership in these fields and his role as a senior Councillor, and so it could well be said that his considerable personal wealth owes much to his public tenure. That he has been able to leverage such considerable personal wealth from his public tenure is clearly not illegal, but it is also clearly not at the behest of his constituents. His control of a housing association and a credit union, alongside his ownership of capital, and strategic involvement in regeneration also speak to a man who has very considerable commercial and public power, particularly in and around his constituency. That his actions have frequently been instrumental in a range of the submissions of malfeasance to this dossier are why we have chosen to single him out and highlight his personal wealth and investments. A complaint has been made to the council about the P.D.T.’s governance. The recruitment process that led to Kucuk’s appointment in 2011 was carried out by the Glasgow East Regeneration Agency (G.E.R.A. ), a charity set up to tackle poverty. In 2012, it was reported that outgoing G.E.R.A. chief executive Ronnie Saez had been given a golden goodbye worth £500,000 by Labour councillors. A charity watchdog ruled that part of the pay-off agreed by G.E.R.A. amounted to “misconduct”. David Meikle, a Tory councillor in the city, said “The Dalmarnock Legacy Hub was about regenerating the East End and helping local people – not employment opportunities for Labour councillors’ relatives. A Labour councillor embroiled in a nepotism row has pulled out of the race to become a party candidate for Holyrood. 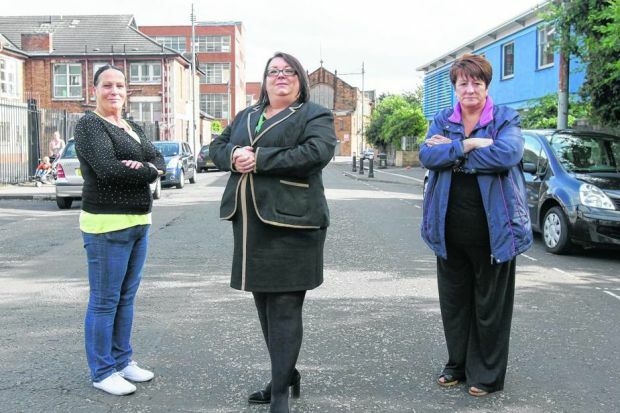 Yvonne Kucuk, who has faced scrutiny over the number of relatives linked to a community centre she helps run, has not applied to be on the Glasgow Shettleston shortlist. Kucuk, who represents the Calton ward on Glasgow city council, had been the favourite in the internal contest after Frank McAveety relinquished the candidacy due to becoming council leader again. However, senior party figures were said to be unenthusiastic about her winning the selection and re-opened the applications process. Scottish Labour headquarters stated that the original shortlist did not “reflect the aspirations” of the party in respect of diversity. Kucuk was then at the centre of a storm over a Commonwealth Games legacy project she helped deliver in the Dalmarnock area of Glasgow. 25 February 2016: International firm of auditors to investigate a Commonwealth Games legacy project managed by a Labour councillor in Glasgow. The Big Lottery Fund (B.L.F.) called in outside help after reviewing how its £1.3m award for the multi-purpose Dalmarnock ‘Hub’ had been spent. 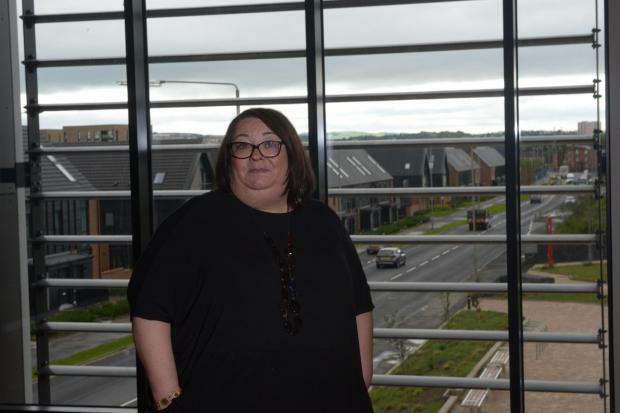 The project has been overseen by a charity – the People’s Development Trust – and a key staff member is Calton councillor Yvonne Kucuk, who was appointed as the P.D.T.’s £35,000 a year “regeneration manager”. The quango subsequently launched a review to examine whether its funding had been used in line with its grant agreement. The probe escalated after the B.L.F.’s internal audit department contracted Mazars, one of Europe’s largest accounting firms, to carry out checks. Local SNP MSP John Mason said: “There is a general concern that Labour treats Glasgow as its personal fiefdom, where friends get positions and jobs and not in a transparent way. “It is the councillor’s dual role in this project that is concerning.